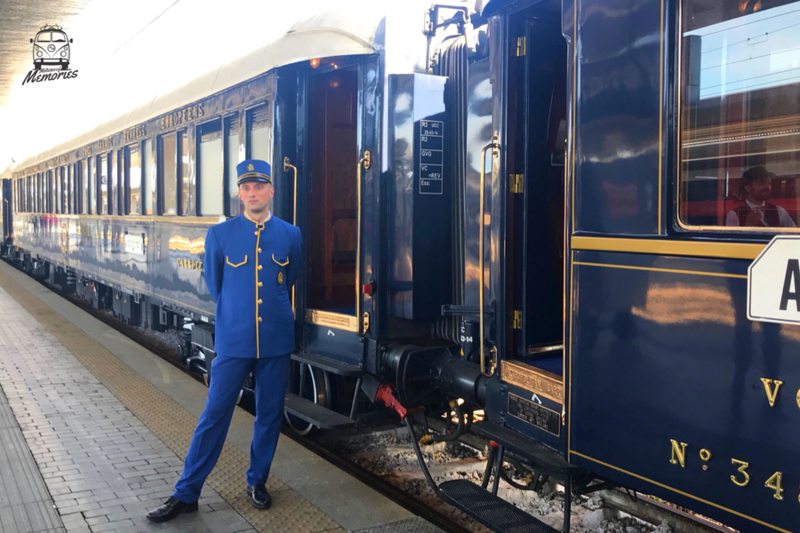 For two days I went on a luxury train ride with the Venice Simplon Orient Express from Venice to Paris. Only 'armed' with a camera, my carry-on suitcase and a stunning evening dress I walked to the boarding gate at the train station in Venice. A small music band with sounds of the 1920s received the arriving passengers. I was enchanted at first sight. With heart-pounding and a smile, I climbed the queen of all trains, helped by a steward all dressed in blue. The first glance into my cabin set off pure joy. Was I really in this over one hundred years old train, that was so nostalgically decorated and above all historically relevant affiliation that has transported even the most fascinating people in the world? I had to pinch myself. There I was now, on a train that even served as a backdrop for the story of Agatha Christie’s ‘Murder on the Orient Express’ and thus still captivated the world. After I inspected every little inch of my cabin, read the welcome card, had a look into the bathroom corner and poured down the glass of champagne that was waiting for me, I was curious to find out more about the train. The entire train exploded with elegance, sophistication, luxury and coziness. From the service of the staff, the equipment in the cabin, the selection of the menu created by a legendary master chef, as well as the entertainment while driving - absolute perfection. I found out discretely, which illustrious guests were on board and was also able to observe how warm, respectful and almost family-like the staff, of every rank, dealt with each other. When traveling aboard the Venice Simplon-Orient Express you will inevitably become part of the famed history of this legendary train. The train revives the glamour and glory of the Roaring Twenties - the birth of all luxury travel. And the crew was particularly enchanting. I was almost a little more impressed by that them than by the interior of the wagons. In passing cities, you can enjoy a bit of slowness by looking right outside your cabin window. The perfect yet elegant balance to the hectic everyday life. The Venice Simplon-Orient-Express probably enchants every passenger and invites you to dream and get blown away. A unique and fascinating travel experience, that I highly recommend. This memory belongs to our Passenger Anna Away (@annaway_travel). All the pictures belong to Anna's personal archive. To know more about our Passenger Anna Away, click here.